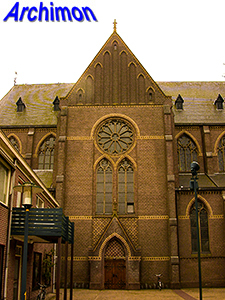 Jan Doedes van der Weide is a relatively unknown architect, but he is known to have worked for P.J.H. 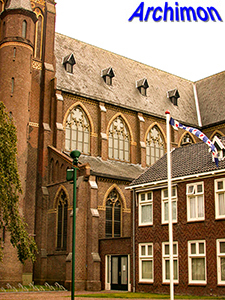 Cuypers for some time. 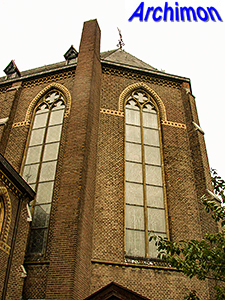 The influence of his former employer is very present in this church, which is probably his only one. 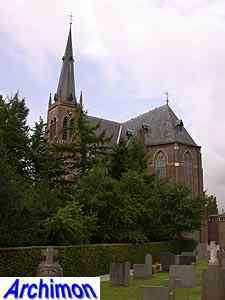 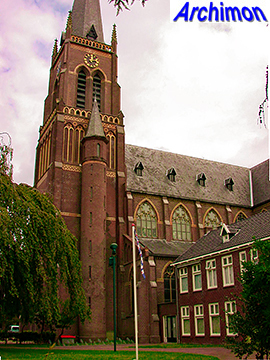 Despite the fact that Sint Nicolaasga wasn't a rich village, it did have a vast catholic majority that was waiting to replace the simple and small neo-Classical church of 1833 by something bigger and prouder. 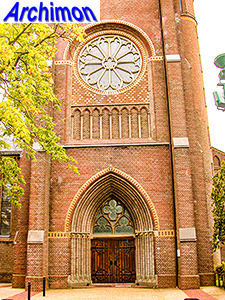 The architect was commissioned to design a big and richly decorated church. 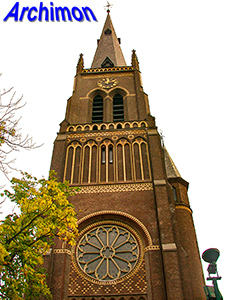 It's a three-aisled cruciform basilica with a 61-meter tall tower. 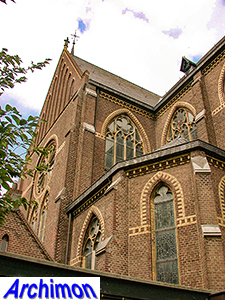 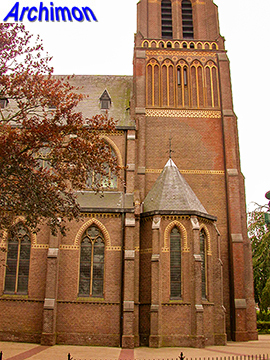 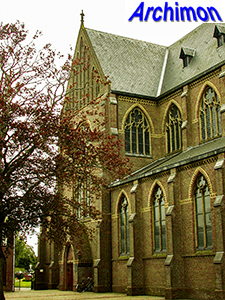 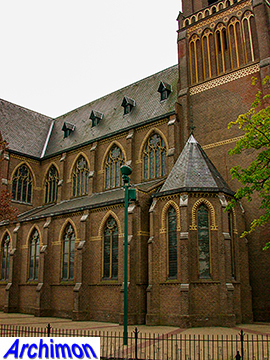 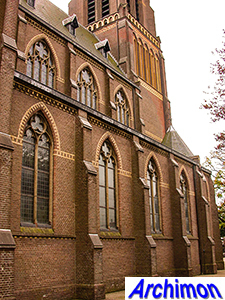 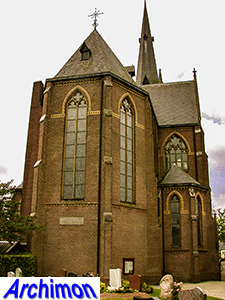 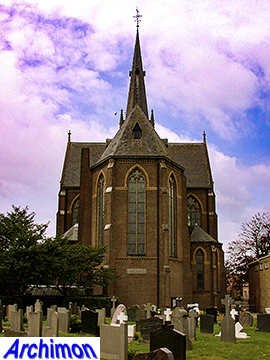 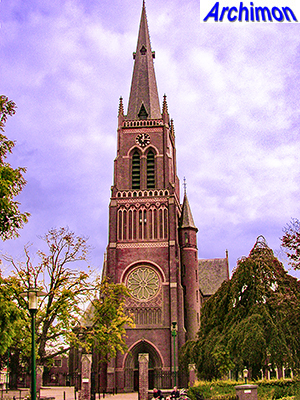 The entire building is in neo-Gothic style and shows similarities with several of Cuypers' churches, especially the St. Bonifatius in Leeuwarden, which was built with Van der Weide as the overseer. 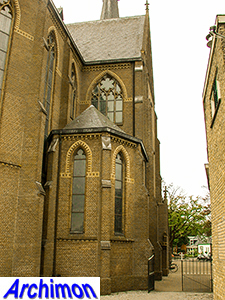 Some of the main similarities are the front of the lower part of the tower and the configuration of the transept walls.